Over the weekend, dedicated fans from around the world helped Beyoncé celebrate her 36th Bey-Day, aka the idol's birthday. The star was set to join husband Jay-Z at the Made in America music festival, in Philadelphia, when a local bakery got the call of a lifetime. Co-owner of Cake Life Bake Shop Lily Fischer received a mysterious request to create a black-and-gold geode tower cake and deliver it to the festival. After doing some digging, Fischer traced the clandestine phone call to "Beyoncé's culinary team." "Everyone here knows that I love Beyoncé ... pretty much the whole week we just blasted Beyonce," she excitedly explained, according to Philly Mag. Along with the bakery's head chef Rebecca Craig, the two got going on a masterpiece fit for royalty. The gorgeous marble trend has been popping up at weddings and birthdays alike, an aesthetic achieved through edible crystals and rock candy. 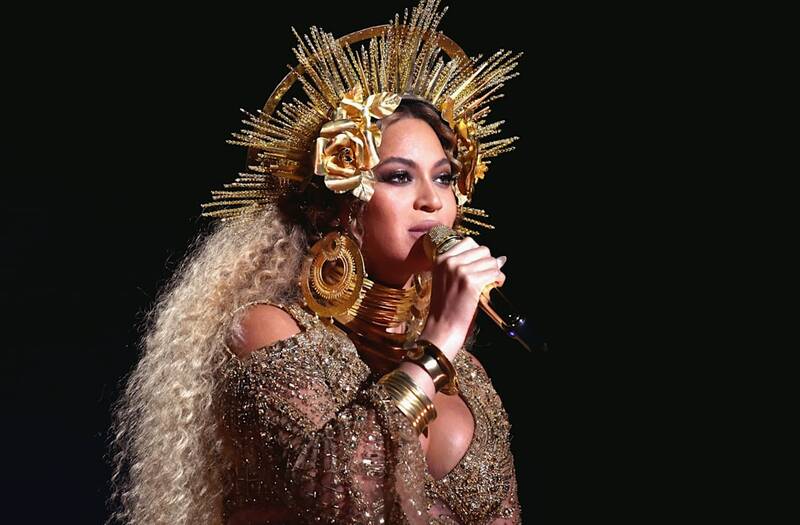 For Bey's cake, the chefs artists opted for three tiers of honey-lavender flavored cake, "equipped with edible sugar crystals – plus cookies shaped like beehives and golden crowns." According to Fischer, the cake costs a "pretty penny," but that's nothing for a Queen. Rapper Jay-Z led the crowd in serenading "Happy Birthday" to his wife, who was attending the show with another Destiny Child's member Michelle Williams.